Skin disease is the second commonest occupational disease in the European Union after musculoskeletal disorders. Contact dermatitis (eczema) accounts for 70-90% of all occupational skin disease. 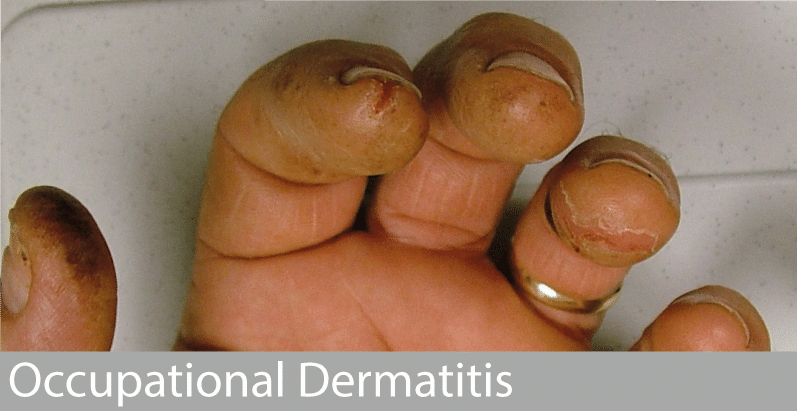 Most patients with this condition also present with hand eczema. Up to half of workers with occupational contact dermatitis (eczema) experience adverse effects on quality of life, daily function and relationships at home. It is very important to perform patch test investigations where individuals have contact with recognized skin allergens, or work in jobs where work factors are likely to be influencing the eczema eg healthcare workers, hairdressers, chefs, engineers etc.